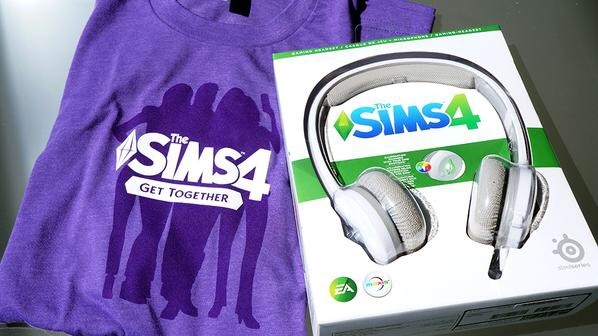 Vanwege de eerste verjaardag van De Sims 4 organiseert het TheSims team twee verschillende giveaway’s met allerlei leuke prijzen zoals de Steelseries headset, een The Sims 4 Get Together shirt en nog vele andere dingetjes. Het enige wat je hoeft te doen is je favoriete screenshot posten op het forum of via Twitter met de hashtag #SimmersGiveaway. De eerste giveaway loopt tot morgen, de tweede tot 7 september, dus wees er snel bij! A year has gone by since the release of The Sims 4 and you have been creating some amazing stories, Sims, and builds in that time. We want to celebrate you and the stories you have created through TWO fun giveaways! The first will be running from today, Wednesday Sept 2, 2015 and end Friday Sept 4, 2015 where we will be giving away 20 bundles of swag, each bundle may include a The Sims 4 Steelseries headset and a The Sims 4 Get Together shirt. The second will start from Saturday Sept 5, 2015 and end Monday Sept 7, 2015 where we will be giving away 20 bundles of swag, each bundle may include a The Sims 4 hardcover moleskine notebook signed by SimGurus, The Sims 4 lanyard, and a The Sims 4 USB flashdrive slap bracelet. Share a screenshot of your favorite moment whether that was a build you absolutely loved making, your favorite Sim, or a moment in the game that was special to you via this thread: Giveaway Submissions – this will change at the start of the second giveaway. You can submit as many different screenshots as you’d like. Hashtag ought to be placed at the beginning of your tweet. We will contact you if you are one of the lucky recipients of the awesome The Sims 4 swag bundles! Community blog: Jullie hebben 92.800.000 Sims gemaakt in het eerste jaar van De Sims 4!